A little-known chokepoint for federal regulations is getting a new chief—and he has questions to answer. Though it won’t garner many headlines nor blocks of cable news coverage, a Wednesday morning hearing on Capitol Hill has massive import for potentially millions of Americans waiting for the government to enforce some basic health and safety regulations. The Homeland Security and Governmental Affairs Committee will consider the nomination of Howard Shelanski to head the White House’s Office of Information and Regulatory Affairs (OIRA), a little-known outfit that consumer and good government groups have been complaining about for years—with good reason. OIRA’s job is to evaluate cost-benefit analyses of regulations performed by executive branch agencies. Its blessing is needed to publish the regulations in the federal register and begin enforcement—but for reasons that are often unexplained, OIRA is sitting on numerous rules and indefinitely delaying their implementation. This week the Coalition for Sensible Safeguards—an alliance of over 150 consumer, small business, labor, and scientific groups—released a report detailing the myriad ways in which OIRA is serving as a chokepoint in the regulatory process. 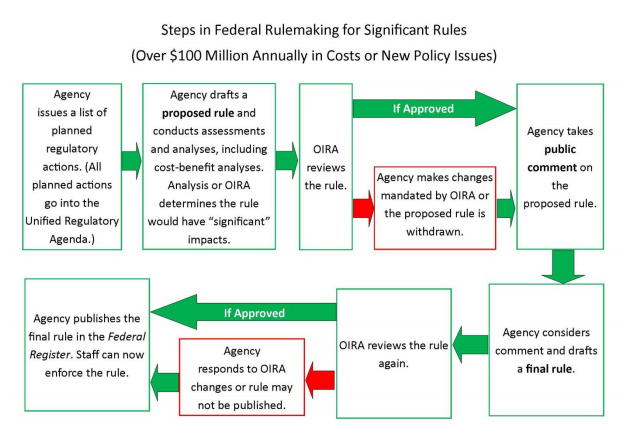 More than 120 rules that have already been written by a regulatory agency are stuck at OIRA. By executive order, OIRA is supposed to review the regulation for no more than 90 days—but seventy of 120 orders stalled there have been under review much longer, essentially in defiance of federal law. In many cases, though OIRA is supposed to explain delays, it just doesn’t. The CSS report fingers industry influence as a major factor in the delays. It outlines the case of a rule on silica dust, which is particularly galling. Silica is a mineral found in sand, rock, brick and concrete, which if inhaled in dust, can be seriously damaging to human lungs. Naturally, construction and building industry workers typically inhale this dust, and as many as 4,400 people are diagnosed with silicosis each year, according to the Centers for Disease Control. It kills 146 people every year, and it is often a very painful death. The Occupational Safety and Health Administration proposed lowering the amount of silica workers are allowed to be exposed to—the rules first created in 1972 were deemed far too lax. The silica rulemaking at OSHA was initiated in 1998, and took over a decade to complete—but finally, in February 2011, they sent a proposed rule to reduce worker exposure to silica dust. That rule, therefore, went to OIRA almost two and half years ago, and should have left the office in the spring of 2011. Why the delay? It seems that industry influence is the big culprit here. Since the rule was sent to the White House Office of Information and Regulatory Affairs (OIRA) for review in February 2011, the office has hosted 11 meetings with outside groups to discuss the rule. Nine of those meetings were with industry groups that oppose the rule. The report also describe a troubling revolving door between industries affected by regulation and OIRA, which no doubt gums up the works even further. The silica rule is just one example—the report details important regulations on food safety, minimum wage and overtime rules for homecare workers, energy efficiency, and controls on Wall Street traders that are all stuck at OIRA. This is a clear failure that Obama is responsible for—OIRA is located at the White House. 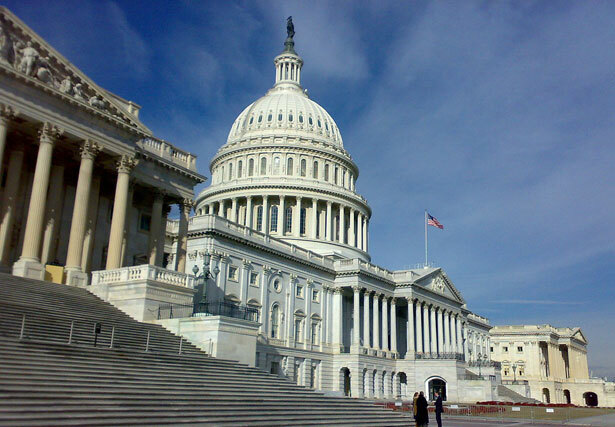 Some Democratic Senators, like Sheldon Whitehouse and Tom Harkin, have written the administration in protest of OIRA’s foot-dragging, as Brad Plumer notes. During Shelanski’s confirmation hearing, Senators have a responsibility to press him on undue delays in approving rules and attempt to extract promises that things will get better. You can watch here and the CSS report is here. We will certainly follow up on how the hearing goes. Republicans have repeatedly called for the repeal of Obamacare. Lee Fang reveals how those same GOP lawmakers have solicited grants from the program they claim to despise.